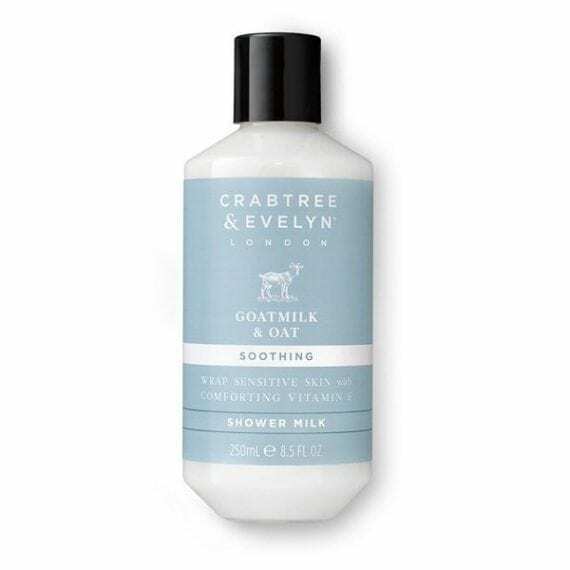 Goatmilk & Oat Shower Milk 250ml. Pamper your skin and indulge in this delicate and gentle shower milk, specifically formulated for sensitive skin. Enriched with nourishing, skin-caring ingredients beloved by the ancient Egyptians, this Shower Milk delivers a supremely soothing blend of nutrient rich, free-range Goatmilk and Vitamin E. The soap free, creamy gel formula, calms sensitive or reactive skin and relieves dry skin – perfect for use as part of a sensitive skincare regime. Dermatologist tested. Adult use only. Usage Tip: For calm, refreshed skin, work in gently with water as part of your daily cleansing routine.